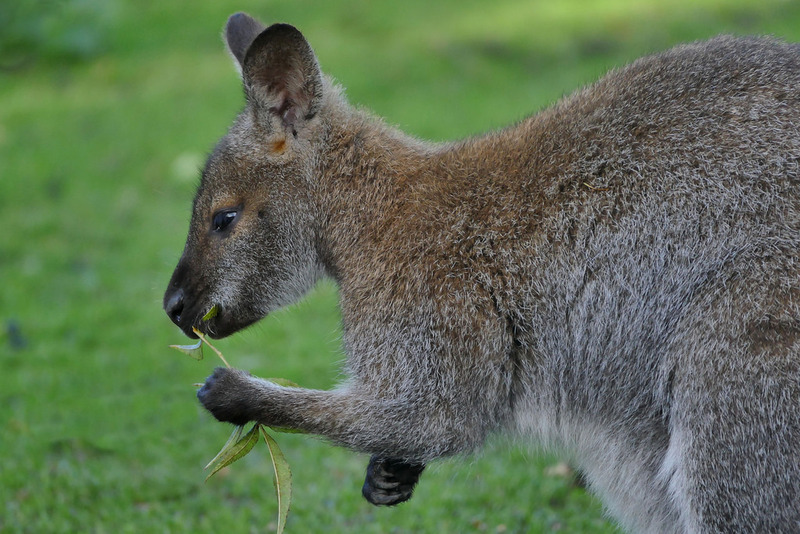 While you might be thinking what you’re seeing hopping around town is a tiny kangaroo, New York pet owners say it might be their pet wallaby, Indy. He left home eight months ago and has apparently been enjoying a bit of a walkabout, as he’s been spotted in a handful towns in the area where his family lives. Advice if you see him? Try luring him with Triscuits. “He knows what dinner is and we’re hoping he shows up at someone’s back door,” Indy’s owner explains to the Journal News. If he does come around looking for grub, he’ll probably run away, she adds. She just asks anyone who see him to speak in a calm voice and say, “Indy come,” and “home. He likes all crackers, apparently, including Triscuits and Wheat Thins, as well as apple slices and toasted wheat bread. “It’s nice that he’s still alive after eight months and that he wasn’t hit by a car or attacked by a coyote,” she said, though with winter coming, lower temperatures could prove a test for the little guy. She gave the Journal News her phone number and asks anyone to see him to call — and to save her number in your phone under “Kangaroo” or “Wallaby” just in case. Which makes sense — see a wallaby, call Wallaby.